Northwest corner from Kent Avenue. 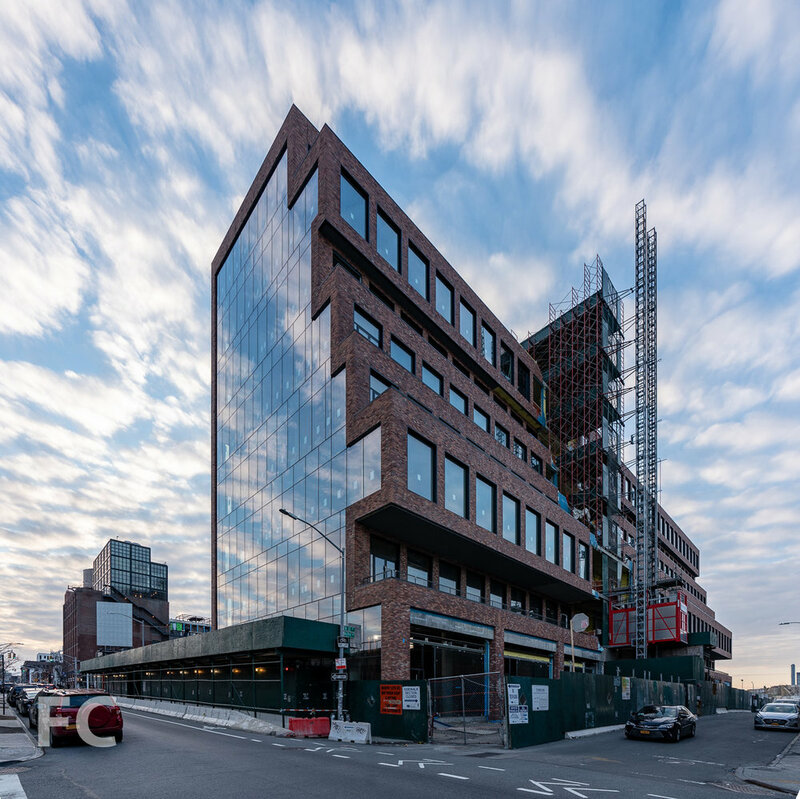 Construction is wrapping up at 25 Kent, an eight-story office building in the Williamsburg neighborhood of Brooklyn, from developers Rubenstein Partners and Heritage Equity Partners. 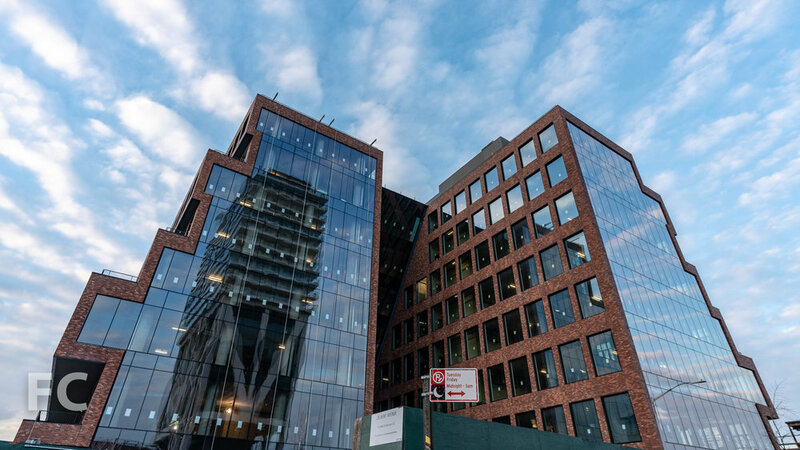 The 500,000-square-foot project occupies a full block with a massing design that features a north and south bar centrally connected. Both bars step back on their north and south street facing facade to allow for rooftop terraces on each floor. 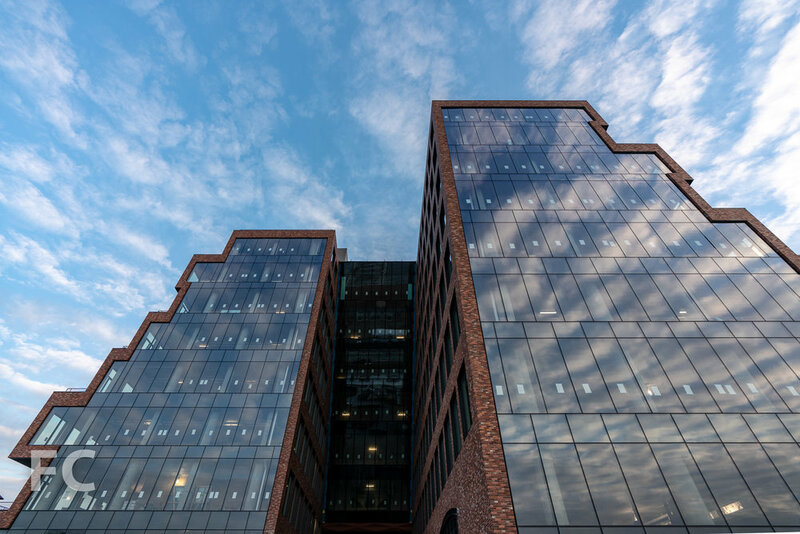 The facade will feature brick and punched window on the north and south of both bars with a glass curtain wall on the east and west. Design of the project is led by Gensler, with concept design by Hollwich Kushner. Southwest corner from Wythe Avenue. East facade from Wythe Avenue. Northeast corner from Wythe Avenue. North facade closeup of 25 Kent (right) and the William Vale (left). 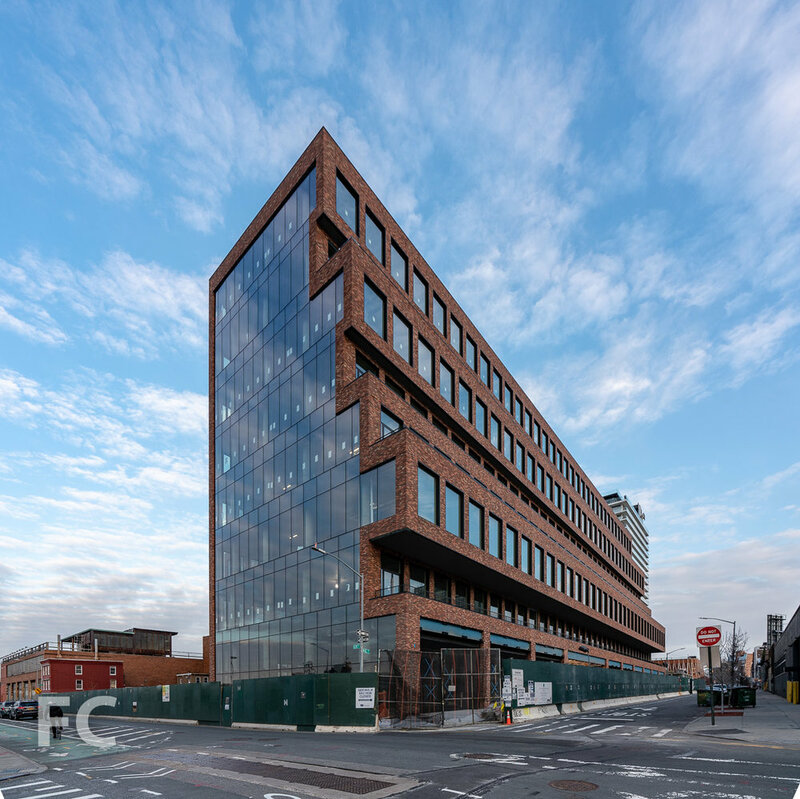 Architect: Gensler (Design and Executive Architect), Hollwich Kushner (Concept Design); Structural Engineer: Desimone; Mechanical Engineer: Cosentini; Developers: Rubenstein Partners, Heritage Equity Partners; Program: Office, Retail; Location: Williamsburg, Brooklyn, NY; Completion: 2019.